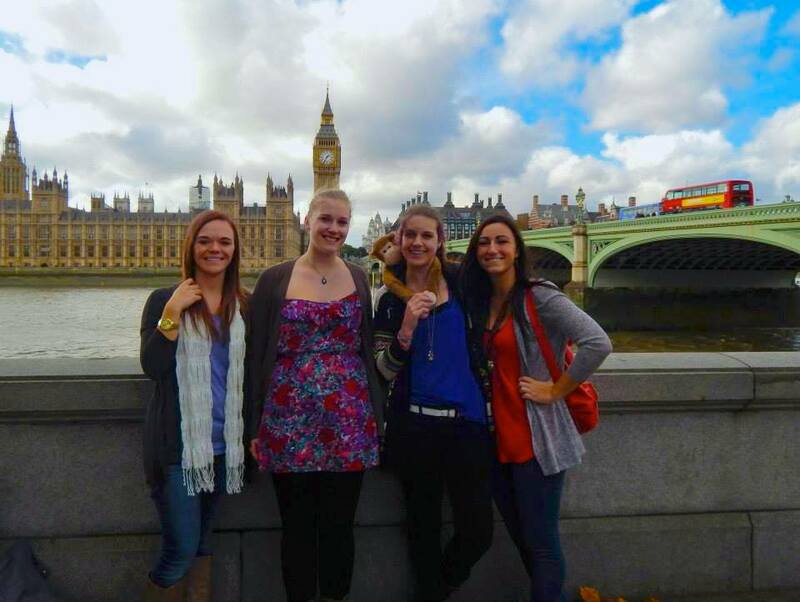 Some great girls from UMD, studying in Worcester for the year came down to London on Wednesday to visit the big city! 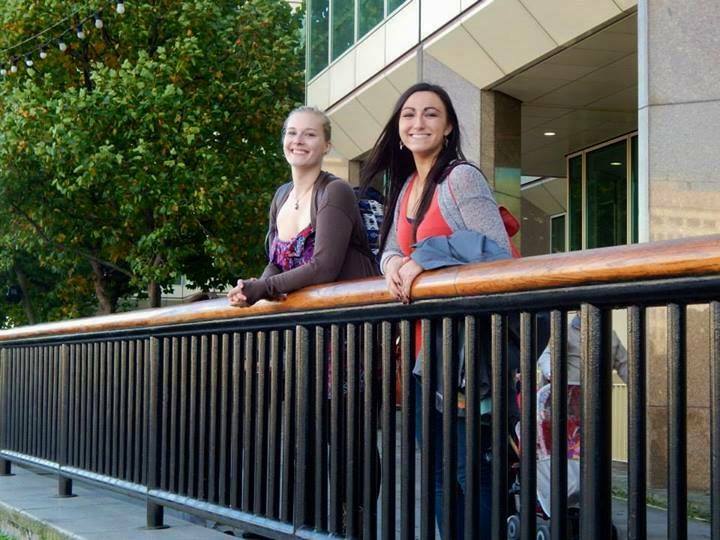 They invited me along on their adventure, so I met them downtown when they arrived–miraculously, we arrived at the station within minutes of each other and had no problem finding one-another! We were all pretty hungry, so we set out to find an affordable, good restaurant in the heart of things. We did find a Pizza Express. I was under the impression that since Pizza Expresses are everywhere in London, it would be a cheap option. WRONG! I mean it wasn’t the most expensive thing I’ve ever eaten, but paying £4.25 or so for a 4×6 inch piece of garlic bread is a bit absurd! Of course, the food was delicious, I split garlic cheese bread and a pepperoni pizza (‘The American’) with Rose, the only one of the three I knew ahead of time. After fueling up, we set out! 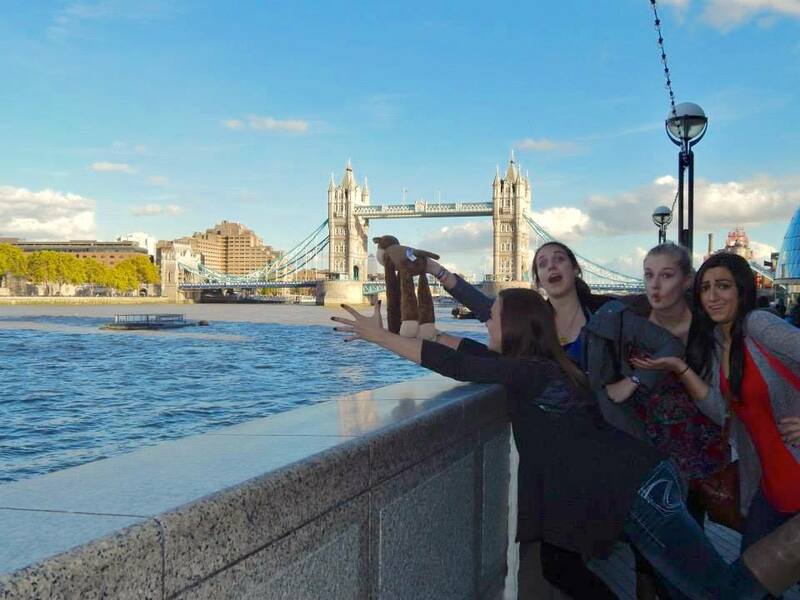 This was all of their first times to London, so we cut right to business: Big Ben. After getting quite a few pictures from different angles (and with the help of some hapless passers-by) we continued along on the river, my tourists snapping pictures along the way! We stopped to grab some coffee at a Starbucks and saw some guy using the only real sand I’ve seen along the river to sculpt a couch with a man sitting on it. I didn’t take a picture because I didn’t have any money to give him! It had actually ended up being a pretty gorgeous day, forecast said rain but we didn’t get rained on at all! The girls were supposed to come last Sunday, but decided against it and good thing, because it rained constantly last weekend! We also discovered a vital rule in London: When you don’t want a pint, pubs are all over. When you do want a pint, good luck finding one if you aren’t familiar with the area! 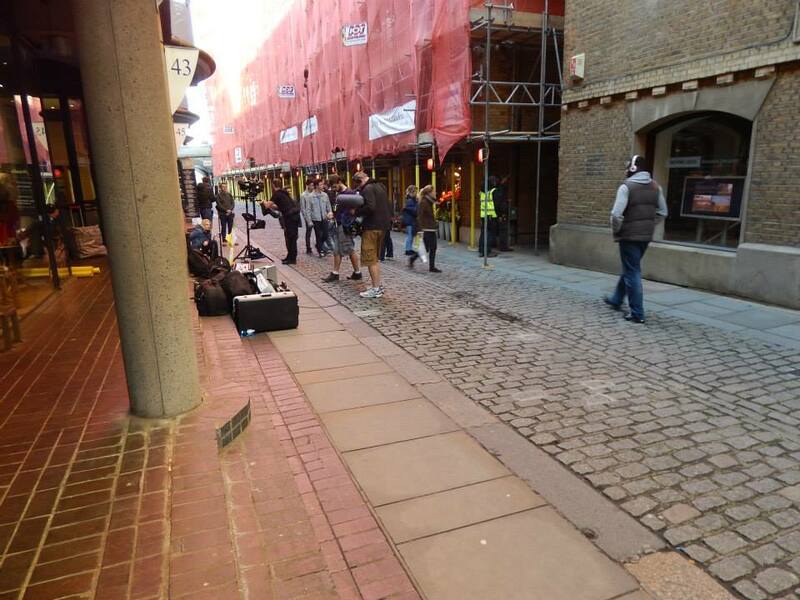 While scouring all the wrong areas near Tower Bridge for a pint, we came across the filming of what we thought was a movie, but is actually an Australian soap opera called Home and Away. In hindsight I should have offered up my services to be a star of the show, but we were on a mission! We ended up finding a pub, but after sneaking to the loo first (I know, bad etiquette) we figured we weren’t so thirsty after all and, since I had a paper to write, I was on my way! We walked back by where they were shooting and the people and cameras were gone, I suppose time is money! I relinquished my map of central London to my fellow travelers, explained how to get back where we started and to Leicester Square/Chinatown from there, and we split ways. I think I gave a reasonably decent tour of the city for first-timers, but I’ll have to up my game for future visits! There’s so much to know I don’t think I could ever know it all, but it’s worth a try! Blue Badge ranking, here I come! 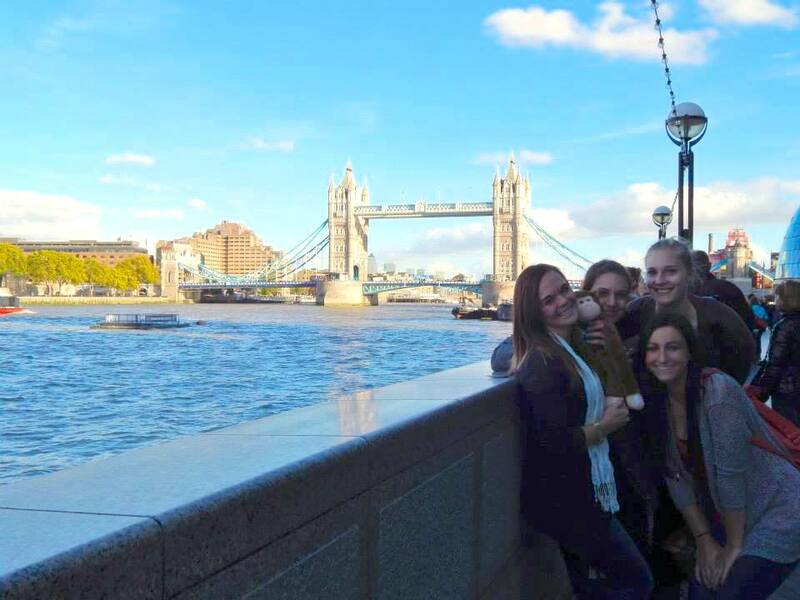 This entry was posted in England and tagged brushes with fame, England, London, Study Abroad, Tourism, travel, Uni Life. Bookmark the permalink. ← time to get real!